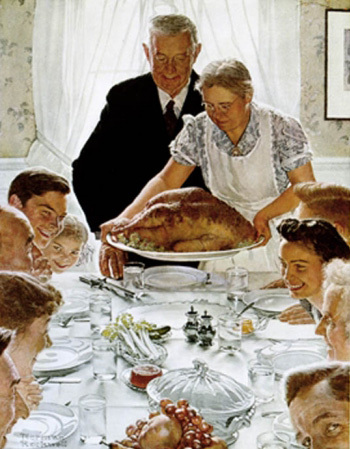 View from the Domestic Church: Keeping it sane, simple, and holy on Thanksgiving! Keeping it sane, simple, and holy on Thanksgiving! What are your Thanksgiving plans? Tell us about them in the comment box. I'll try to write more for you soon. In the mean time, here's a radio segment from a previous Thanksgiving about "Keeping it sane, simple, and holy" with Teresa Tomeo and me on "Mom's Corner."